Ever wondered how big (or small) emails are within a typical government organization? 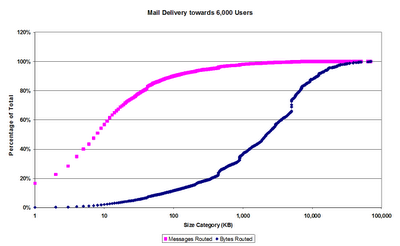 The horizontal axis shows the size of emails, in 1KB increments. The vertical axis represent the percentage of the totals, cumulative in each of the size categories. 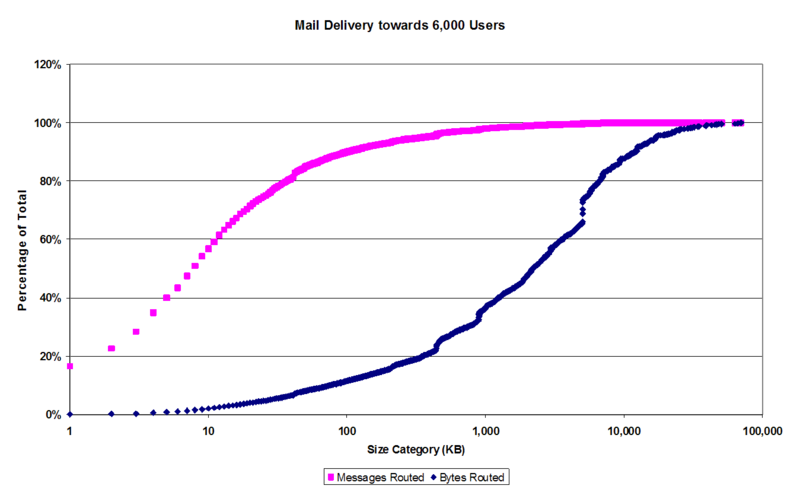 So messages up to 10KB in size represent 60% of all emails delivered, but only 1% in terms of total volume in bytes. Whats the point? Well, imagine you give your users instant messaging (IBM Lotus Sametime for instance). Fair chance that the load on the server for mail routing will drop with 60%.